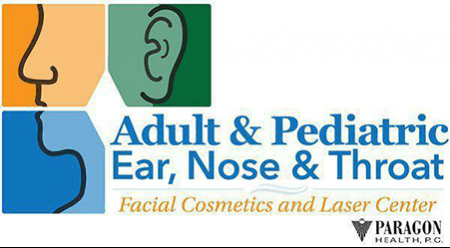 Adult & Pediatric Ear, Nose & Throat always appreciates feedback from our valued patients. To date, we’re thrilled to have collected 68 reviews with an average rating of 4.82 out of 5 stars. Please read what others are saying about Adult & Pediatric Ear, Nose & Throat below, and as always, we would love to collect your feedback. Dr Berry is a very attentive and competent doctor who made me feel confident in her care. I can hear now in my right ear . I have been having low hearing next to NO hearing for 6 YEARS. I was in her office for less than 1 hour problem solved. she is the the best. Thank you. Eric B.
always have a good experience, Doctor Shapiro takes the time needed to understand and treat my concerns. Timely, helpful and clearly explained my situation. Thanks for your help. Dr. Berry spent time evaluating what was going on with me. Often times you don't get but 5-10 minutes from a doctor. However, she spent nearly an hour evaluating and explaining what was going on. Well done! My experience was great! All the people were really kind. Everything went well for my first time coming here. Very caring people. Dr. Berry was informational, calming, and had great bed side manner. She was great with my toddler and answered all of our questions and made us feel comfortable in calling back with any questions we may have down the road before his tubes surgery. Always a good experience with any of the providers here!! I was really impressed by the care and concern of my issues and providing me with answers. Bright, clean facility. Friendly, engaging office staff. Medical staff truly listened to the patient. Dr. Ashby is a great caring doctor you’ll love him! Dr. Berry was wonderful from my first appointment to my surgery and follow-up visits. Very positive. Dr. Berry explained everything in detail, answered my questions, and showed me the results of the my procedure. Would highly recommend. Follow up for allergy treatment. Good information in a professional manner. Martin is a fantastic PA. He is knowledgeable and kind. He takes time to listen and answer questions. My girls (1.5yo and 4yo) love him. Doctor Ashby was so great. Him and his staff were so friendly and accommodating.